STULZ marketing manager Manohar Reddy focuses on how micro and modular data centers are taking center stage to meet the growing Edge computing infrastructure demand. Manohar Reddy, Marketing Manager at STULZ Air Technology Systems Inc. Edge computing is the next wave of the internet. The traditional way of connecting from the main hub or data center to the consumer or business incurred a significant amount of two-way data transmission costs (Opex) and a huge upfront investment (Capex). 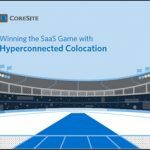 The constant challenge of meeting the ever-growing demand for speed or bandwidth and lowering or eliminating the latency has paved the way for the ‘evolution of edge computing’ to address the needs of the ‘always connected customer’. Edge computing is evolving and spreading into various industry verticals. It is being deployed into a multitude of applications. At the core of edge compute demand is the quest to provide an enhanced user experience and to manage the related impact on revenue through operational efficiencies. As edge computing is touching or going to touch every aspect of our daily lives, businesses, enterprise and government establishments at local, national and the global level, the underlying and overlaying technologies are also being developed rapidly. Constantly evolving technology addresses the increased demands from Industry 4.0, IoT, high performance computing, 5G telecom, transportation segment with self-driving automobile navigation, connected vehicles, rooftop fly-ports and more. The related infrastructure is forced to adapt to the ever-changing technology demands as well, thus creating a parallel demand for associated solutions and services. Hence, the evolution of Industry 4.0 is taking all of us through this inflection point in the world of computing. The micro and modular data centers are taking center stage to meet the growing Edge infrastructure demand because of the unique design, architecture and ease of deployment, and a combination of capabilities and several other factors. Edge computing comprises not just one or two industry technologies and expertise alone. Rather, it requires a multitude of expertise from IT, mechanical, electrical, construction, cabling, integration and others. Hence, it has become critical to recognize the need for an eco-system for edge computing infrastructure. It must be easily deployable and scalable at the point of data generation and simultaneously at the point of data consumption. The primary challenge in developing such an eco-system is meeting the evolving requirements of all the infrastructure needs and regulatory standards for several applications across divergent industries. The standards and regulations from one sector to the other are not sequential. Instead, often they are left to the interpretation of disparate individuals. Micro data centers offer unique features for high-performance computing up to 80 to 100 kW/rack. These include built-in air-conditioning system to cool the server rack, UPS, fire suppression, security camera, PDUs and e-access for physical security. Micro data centers with the capability to scale up as you grow are becoming the new norm. Whereas the modular data centers contain multiple micro data centers with in-built infrastructure in an all-weather container that are pre-equipped with communication, backup power. 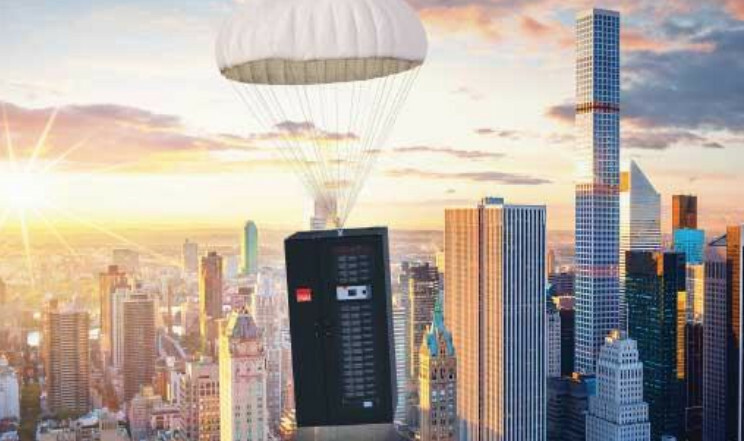 These ready to deploy modular data centers are installed at remote sites/locations addressing the bandwidth and latency issues by connecting to nearby regional data centers where needed, thereby enhancing the user experience. Also, such installations are at times deployed to mission critical operations. As the compute moves from on-prem cloud to edge cloud and from centralized connectivity architecture to decentralized or regionalized connectivity architecture, the modular and micro data centers are playing a significant role in the transition by providing the techno-commercial solutions. Micro and modular data centers are at the forefront of the technology adoption and are positioned to be a commercially viable solution. The smaller foot print of micro and modular data centers not only make them less capital intensive but also ideal for future upgrades and developments, while offering optimal operational efficiency. 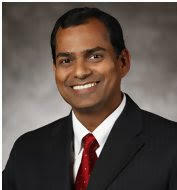 Manohar Reddy is the Marketing Manager at STULZ Air Technology Systems Inc. in Frederick, Md. STULZ is a pioneer in-providing products and solutions for high performance computing and edge computing with their micro and modular data centers globally. The views, opinions expressed in this article are for knowledge sharing and are unbiased and not intended at any individual, business, enterprise.